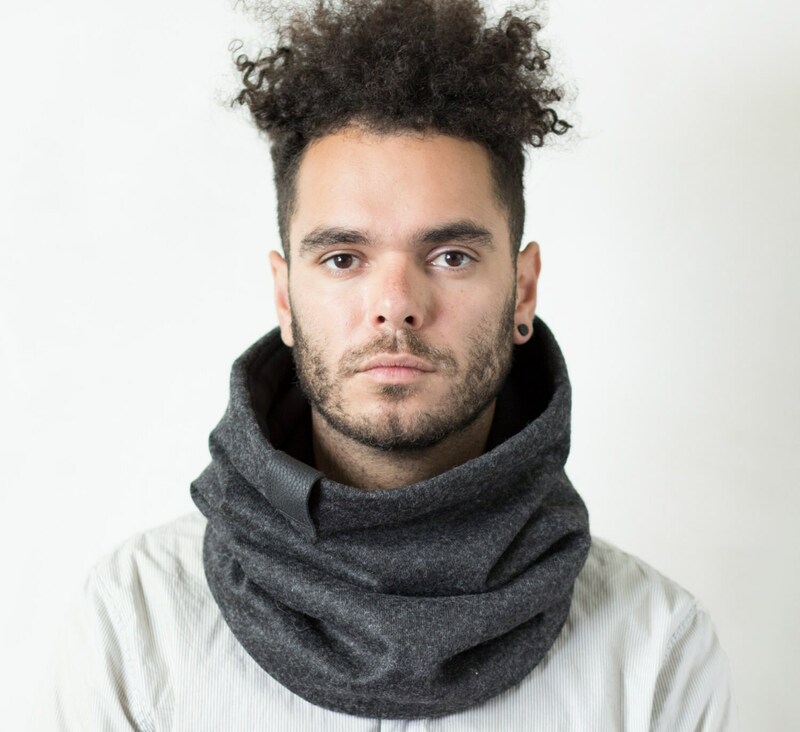 Very warm, practical and stylish mens winter cowl scarf, scarf man or mens cowl! 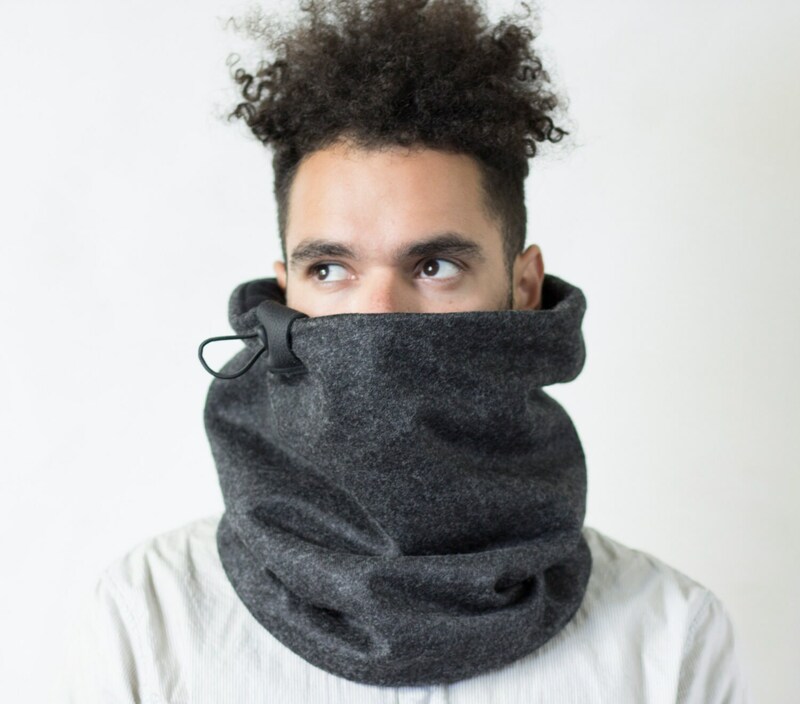 This cowl scarf is designed for the coldest of winters. 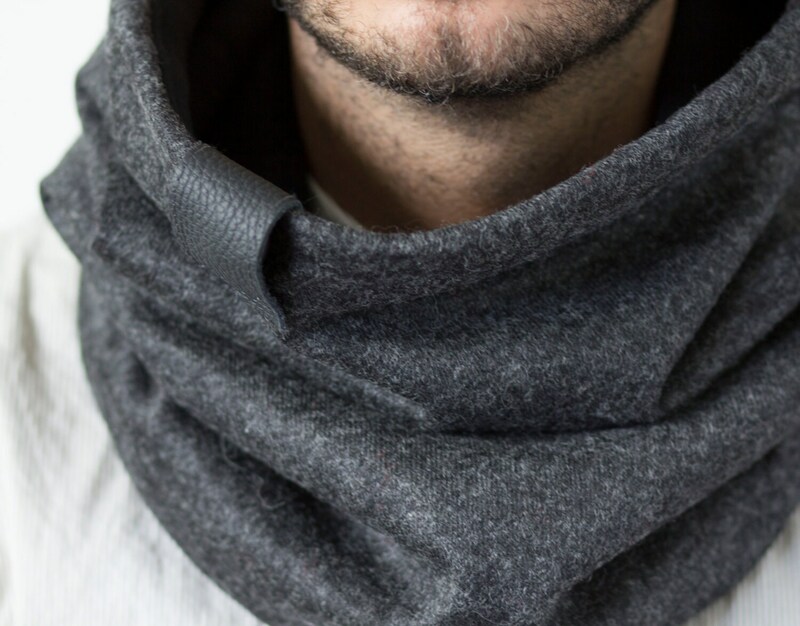 With the unique wool outer shell and the very soft and warm thick cotton lining, this scarf ensures comfort and warmth. - New hidden elastic leather design! Outer shell: wool. High quality dark grey melange wool that acts as a windbreaker. It is finished beautifully with our new leather detail that hides the elastic when not in use. The elastic cord allows the piece to be adjusted to weather and taste. All our orders are sent with registered mail, so you will be given a tracking number. Exactly what I was looking for. Nice and roomy with the great elastic band to tighten it up while skiing. But also fashionable to wear out for drinks or around the lodge after. Vielen Dank Ryan! Schönes Geschenk - ganz warm und angenehm zu tragen. Ging meda schnell! Es lief alles perfekt, Mitteilungen über den Status der Bestellung, Versand und die Lieferung noch vorm Fest. Top! 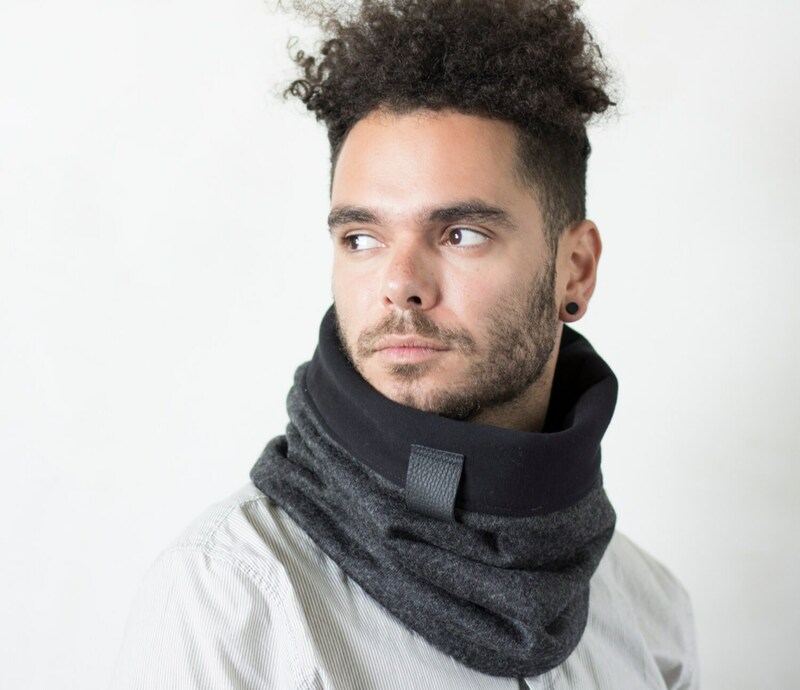 It looks great on my boyfriend and keeps him warm in the cold winters!